Perfect Build. 17,217 Miles. 3-Speed Manual Transmission. Engine Balanced and Blueprinted. Please call. This is a unique opportunity to own a Perfect 1965 Mustang Fastback. This is well put together and as clean as they come 1965 Mustang Fastback with the same owner since 1986. The owner that did the restoration/build is a Master Mechanic, with knowledge so vast, in Ford Mustangs that I would consider him a walking encyclopedia. 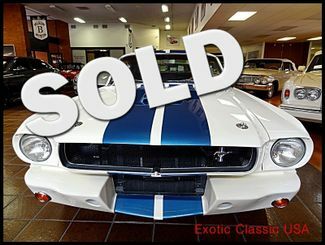 He was the president of the South Bay/Long Beach chapter of the Mustang Owners Club of California, as well as, a member of the Cobra Owners Club since 1979 and the Shelby American Automobile Club for over 20 years. He has been in the automotive racing business for over 30 years. 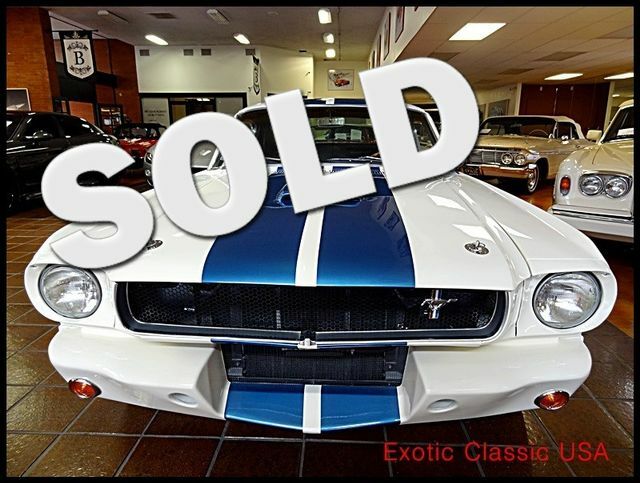 He was also the chief mechanic and engine builder for the fastest 1965 GT350R models that raced in vintage races in the west. 1968 302 Mexican Block. The Mexican block 302 has the same full width 2 bolt main caps as the Hi-Po 289, though the block is stronger with a higher nodularity content in the block along with extended cylinder skirts. The block is bored .030" over and is fitted with forged pistons and has been fully deburred internally with all of the oil galleys modified for screw in pipe plugs. The actual engine size is 306 cubic inches. The rotating assembly is fully balanced and the engine is blueprinted, a term which refers to ensuring that all clearances are kept extremely uniform and exact. The engine is fitted with ARP main studs, a high-volume Melling oil pump, Moroso windage tray and a Canton 7 quart road racing oil pan. The cylinder heads are 1968 302 four barrel heads that have been fitted with hardened seats, to allow for the use of unleaded fuel, they are fitted with larger intake and exhaust valves, and fully ported and polished by Rick Kemph. The rocker arms are the Comp Cams Magnum Rollers. The compression ratio is 9.5:1, to be street able on pump gas. The cam is an Engle, the brand I have used on all of my small-block Ford racing engines, and it is a mild hydraulic lifter version. The intake manifold is a dual-plane Edelbrock that has been port matched and massaged. The carb is a Holley 600 CFM vacuum secondary type that I have modified. I have removed the choke plate, changed out the standard float bowls for center-pivot, dual feed bowls, and it sits on a 1" four hole spacer to improve velocity. The distributor is a 1975 Ford electronic ignition type that I have completely rebuilt to NASCAR specs and modified to be fully mechanical advance by adjusting the weights and springs and removing and blanking out the vacuum advance module. The ignition is a NASCAR MSD ignition and the spark plug wires are the ones I used for NASCAR as well, Magnecore. The exhaust flows through Hedman Headers to 2.5" pipes through V-Force mufflers to exit at the rear valence. The transmission started life as a 1966 C4 three speed automatic. I have completely rebuilt the transmission with high performance clutches, steels and bands. The intermediate servo has been replaced with a high performance larger servo which ensures very positive shifting. The valve body is an Art Carr fully manual, reverse pattern type. This means that the transmission is now a fully manual, three speed transmission without the need for a standard clutch or a vacuum modulator valve. There is also no automatic kick-down. You need to shift it into the gear you want.